The Cauvery issue has severely tested the idea that India shall be a law-governed nation. The system is supposed to work based on checks and balances imposed by constitutionally mandated institutions, but successive Karnataka governments have repeatedly stressed in public, and to a large extent observed in practice too, that whatever water is left over after Karnataka’s use can be had by Tamil Nadu. This has had a disastrous impact on the kuruvai crop when no water is generated within Tamil Nadu. Karnataka’s stance goes against fundamental principles of natural justice. It is true that Tamil Nadu’s system of flood irrigation, mono-cropping, and excessive emphasis on paddy are significant contributors to the problem but the position of successive Karnataka governments and repeated refusals to obey Supreme Court orders have left Tamils feeling wounded and untrusting of the federal system worked out by the Indian Constitution. It is true that Tamil Nadu’s system of flood irrigation, mono-cropping, and excessive emphasis on paddy are significant contributors to the problem but the position of successive Karnataka governments and repeated refusals to obey Supreme Court orders have left Tamils feeling wounded and untrusting of the federal system worked out by the Indian Constitution. As Badri Seshadri points out in “Tamil nationalism: Why India should be worried?”, the central government should realise that it has a serious problem on its hand. In one sense, credit should be given to the centre for trying to take upon itself the role of the final arbiter if Karnataka refuses to obey the water-release guidelines drawn up by the Cauvery authority. The Supreme Court had indeed lobbed the ball onto the centre’s court by asking the centre to frame a “suitable” scheme while upholding the tribunal final order. The SC ruling was a cop-out since the tribunal final order was complete in and of itself and would have very well solved the problem if the Cauvery Management Board it had prescribed had been constituted. The management board, headed and guided by experts, would have been directly in-charge of the release of water from dams and there would have been little scope for further dispute since the framework for determining the release of water had been laid down and its implementation would have been automatic. 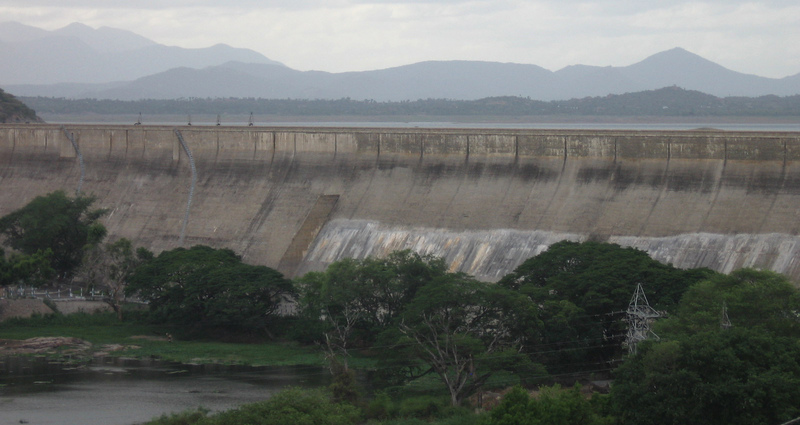 The management board, headed and guided by experts, would have been directly in-charge of the release of water from dams and there would have been little scope for further dispute since the framework for determining the release of water had been laid down and its implementation would have been automatic. By affirming the tribunal order but, at the same time, by asking for a “suitable” scheme and later clarifying in an oral observation that the scheme need not be the board, the Supreme Court had dodged its judicial responsibility. It is not clear who will be the final arbiter or who will make the final decision if Karnataka refuses to comply with the guidelines – right now the authority can only come up with guidelines, not mandates. The apex court, by shooting down the plea for an “independent person” like a retired judge to head the body, could be said to have whittled down the efficacy of the oversight mechanism. The Supreme Court has hinted that the final arbiter may be the Supreme Court itself. Giving that authority to the centre may lead to political factors, such as which party forms the government, influencing its decision. We saw ample evidence of that when the centre delayed its draft scheme citing Karnataka elections. It is very much within the realm of reasonable expectations that Karnataka will refuse to obey the guidelines of the authority, in future. This could lead to more litigation and delays in resolving the problem. Yet, however flawed the “suitable” scheme is, Tamil Nadu stands to gain since it pushes for a law-governed approach. The Cauvery River Water Authority that had functioned under the interim award had been of some help to Tamil Nadu’s farmers, ordering the release of some water now and then. Perhaps the biggest takeaway is that the subtle shift in Tamil Nadu’s approach engineered by former Chief Minister J Jayalalithaa, which the DMK had to support out of political compulsions, that Tamil Nadu should solely rely on the legal route has proven to be rather ineffective in obtaining what is due to Tamil Nadu. Not too far back, the political leadership in the two states kept their communication lines open even while ratcheting up the rhetoric. There were instances when Karnataka government had quietly released water and M. Karunanidhi, when he was Chief Minister, had let the issue die down tactfully. It is in the interest of both the states that the old culture of backroom negotation and manoeuvering be revived. It is naive and flippant to propose a southern confederation, as DMK’s M. K. Stalin has done, but be at each other’s throats. A joint initiative by farmers and water experts came to be aborted a few years ago. Civil society can consider reviving it, even though the atmosphere is far less conducive today. After all it is goodwill on either side that will eventually prove decisive. Forums › What next in Cauvery? This topic contains 0 replies, has 1 voice, and was last updated by Nandha Kumaran 11 months, 1 week ago.